Home / 22 bullets / cuurley / cyberjaya / electronic music / jenil / malaymail / music / news / onderkoffer / rayray / slumberjack / thomas gold / tom westy / tymen / wired music week / WMW / Meet the big music names at Malaysia’s first Wired Music Week! Meet the big music names at Malaysia’s first Wired Music Week! Wired Music Week (WMW) is making its debut as Malaysia’s first three-day celebration party for electronic and music lovers everywhere starting from this 11 to 13 May. 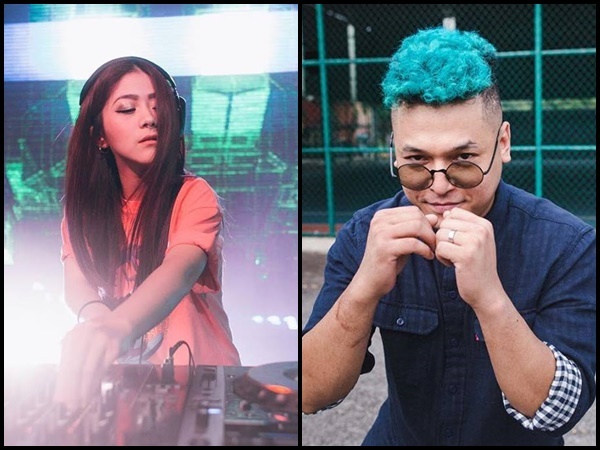 WMW is inviting music lovers from all around Malaysia as well as bringing some of the brightest minds from the music industry to gather at Tamarind Square, Cyberjaya, to blast of their first ever electronic music party. The event will kick off from 11.30am to 10pm at each day, with tickets priced at RM158 for one day and RM258 for two day passes which are available online via WMW’s official website. WMW aims to act as a platform to nurture and develop the music industry on an international scale by bringing in some of the greatest minds from all around the world ranging from artists, talents, record label heads and industry delegates. The fun doesn’t stop there, as WMW will be cranking up the party in featuring some of the greatest artists such as: Rayray (Taiwan), 22 Bullets (Thailand), Onderkoffer (Netherlands), Thomas Gold (Germany), Jenil (Philippines), Tymen (Netherlands), Slumberjack (Australia), Tom Westy (London) and Cuurley (Malaysia). Aiming to create relationships as well as strengthen the bond between existing ones within the music community, WMW will be having a panel discussion session that are made up of worldwide representatives such as Armada Music, theLOOP, 2 Dutch Records, Future House Music and more, where they will be exploring a wide variety of topics like cultural sensitivity when throwing festivals, navigating red tapes as well as improving performances. There will also be workshops and production masterclasses lead by artists such as Rayray, 22 Bullets, Onderkeffer and more as they share and guide you on the ‘what and what nots’ in music making. Adding on to the fun will be a Keynote presentation where they’ll bring you on an adventure into 20 years of music, live and data at AEI along with music, social media marketing and more. So don’t miss out on the chance of unravelling the secrets of artists and electronic music this May!